When it comes to bathroom design, every component is an opportunity to make a statement and add value — especially your bathroom sink. With so many bathroom sinks on the market today, there are plenty of opportunities to select the traditional or modern bathroom sink that appeals to you. Whether you’re designing your dream bathroom or staging to sell, here are some top secrets to keep in mind when shopping sink options. Whether you go with a traditional bathroom sink in a vanity you already have or opt for something bolder, you can’t go wrong when you’re armed with basic design principles and know how they apply to your home. With that in mind, here are the secrets you’ll want to know. How much space you have. If you’re going to be fitting your new sink into an existing vanity, you need to know how much space it can accommodate, as this will limit which sinks you can choose. If you’re swapping out the whole vanity entirely, on the other hand, you’ll want to think about what size sink/vanity will work best in your space. Smaller bathrooms tend to work best with pedestal sinks or wall-mounted vanities; and large bathrooms with multiple users benefit from double vanities with twin sinks. Bathroom style. 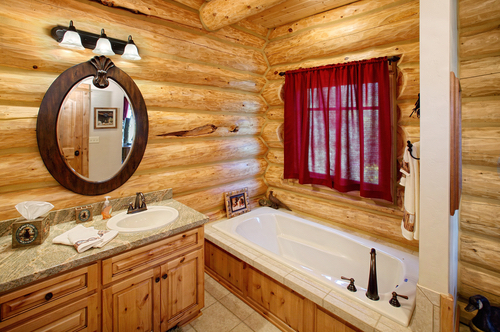 Unless you’re remodeling your entire bathroom, choose a sink that works with your current bathroom’s style. A modern bathroom sink might be slick and eye-catching, for example, but it would look out of place in a bathroom that’s traditional everywhere else. Sink holes. Sinks need faucets, and faucets come in different hole numbers: one hole, two holes or three holes. If you already have a certain faucet in mind, you can pick a sink to match it. If you don’t, choosing a sink with three holes is your safest bet — as it works with the greatest number of faucet options. Pedestal sinks: Supported by a single column, pedestal sinks take minimal floor space while still providing an attractive, functional bathroom sink. They also hint at vintage style and work beautifully among classic bathroom elements like subway tile and bronze fixtures. Wall-mounted sinks: Another way to save floor space with your sink choice is with a wall-mounted sink. Rather than standing upright on the floor like a pedestal sink, this kind of sink mounts directly to the wall, completely freeing the floor beneath it. Drop-in sinks: Drop-in sinks do just what their name suggests — they drop into a countertop or vanity top, with a rim that rests above the counter and a basin that hangs below. Their biggest benefit is being so easy to install. Under-counter sinks: Under-counter sinks are like drop-in sinks, except they stay completely under the counter, with nothing resting above the vanity top. Vessel sinks: Designed to rest above the bathroom counter, a vessel resembles a large bowl, and it gets placed above the counter with a faucet pointing into it. Available in various designs and materials, vessel sinks can make a bold, modern statement in a bathroom. The sinks you see at your local home improvement store are not a full representation of everything that’s available. Today’s market includes bathroom sinks in glass, cast iron, porcelain over cast iron, vitreous china and even stainless steel. Take time to explore all of these possibilities so you can be sure you’re picking the right option for you. One of the best ways to explore both sink styles and materials is in person. Visit a local design showroom, like the ones Modern Bathroom has in Southern California, and get a better feel for what you do and don’t like about various sink designs. Last but not least, think about universal design when you’re shopping sinks. While you may not need a handicap-accessible bathroom day to day, will anyone in your family? Would making your bathroom more accessible be an asset when it comes time to sell? One small step you can easily take is to install the sink as close to the front of your countertop or vanity as possible. Ready to learn more about sinks and shop affordable options for your bath? Visit Modern Bathroom to see what we have available, at factory-direct pricing that can save you 70 percent or more! Zeal and gusto fueled your modern bathroom design some years ago. 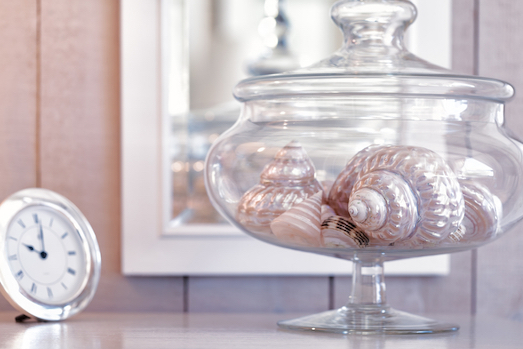 Now when you see your bathroom, maybe you long to transform it into a vintage oasis, yet you don’t know where to begin. By swapping out a few pieces in your modern bathroom, you’ll ignite the zest you once had, and begin transforming your bathroom into a vintage bathroom full of old-world charm and exceptional comfort. A bathroom remodel doesn’t have to be complicated at all. Infuse your modern bathroom with classic pieces from Modern Bathroom, including tubs, bathroom accessories and fixtures, to transform your bathroom in a weekend. From traditional bathrooms to modern bathrooms to vintage bathrooms, clawfoot tubs are a great choice. Accented by vintage copper, satin black or tumbled bronze fixtures, your tub sets the tone. Beyond the design, your clawfoot tub is perfect for hours of soaking following your bathroom remodel. 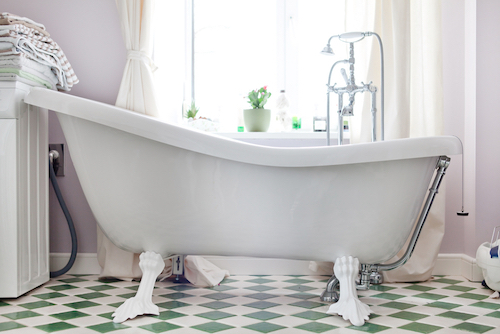 The tub's therapeutic qualities make it a must-have when your goal is comfort and vintage. Pro tip:Consider installing a toilet with a detached tank to complement your freestanding tub. Introduced in the late 1800s, pedestal sinks complement clawfoot tubs well. One of the most popular types of sinks back then, they continue to be elegant, yet functional. What’s even more fascinating about pedestal sinks is the multitude of options you have to choose from these days. Whether you desire an integrated sink or want a pedestal sink with an attached 20th century-inspired porcelain basin, you are only limited by your imagination. 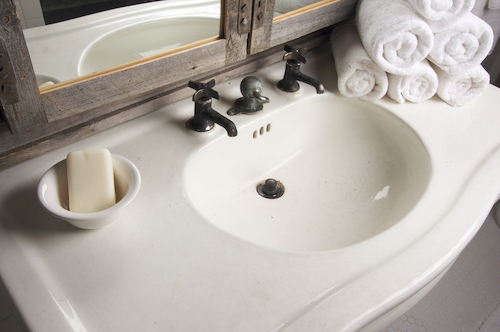 Pro Tip: Bow-front pedestal sinks add dimension to your vintage bathroom. Bare walls are a no-no when it comes to creating your dream bathroom. You can line your walls with accessories that are functional and those that simply enhance your design. Consider installing a hanging shaving mirror, wall-mounted soap dispensers, and artwork from the period that inspired your new retreat-like bathroom. Pro Tip: Enhance your lighting and remain true to your design by adding sconces that reflect the popular designs of the period you are imitating. Checkered tiles are a classic choice when it comes to transforming your bathroom. The time-honored look achieved by installing checkered tiles will never be a bathroom faux pas. It is the marriage of simplicity and vintage design realized. You can’t forget wallpaper. Wallpaper is a simple way to capture the vintage look you crave. With tons of print to choose from, choosing the right design will bring your bathroom to life. To get a truly vintage look, opt for a classy baroque print or a ’50s-inspired striped print. Pro tip: Add a single chair to your bathroom to drive home your vintage look. It doesn’t take much to rejuvenate a modern or traditional bathroom. If you want to convert your modern bathroom into a vintage bathroom, then a few inspirational pieces from Modern Bathroom will quickly get you started. Browse our website for the tub, fixture and bathroom accessories you need to take your bathroom back in time.